Weekend Riding Plans: How about 150 km on Canada’s Day 150th Birthday? Wish us luck. Also clear skies and tail winds. It was Cate’s idea. We’re riding 150 km on Canada’s 150th birthday tomorrow. The group of riders is Cate, Sarah, David, and me. We’re riding from London to Port Stanley and back for 100 km and then a bonus trip to Belmont and home for 50 km. I’m glad we’re doing this. I think many of us have complicated emotions about Canada Day this year. Cate wrote an incredibly thoughtful piece about Canada’s 150th birthday, our colonial past, and the ongoing injustices towards indigenous people. See her Colonialism 150: my tiny disruption. 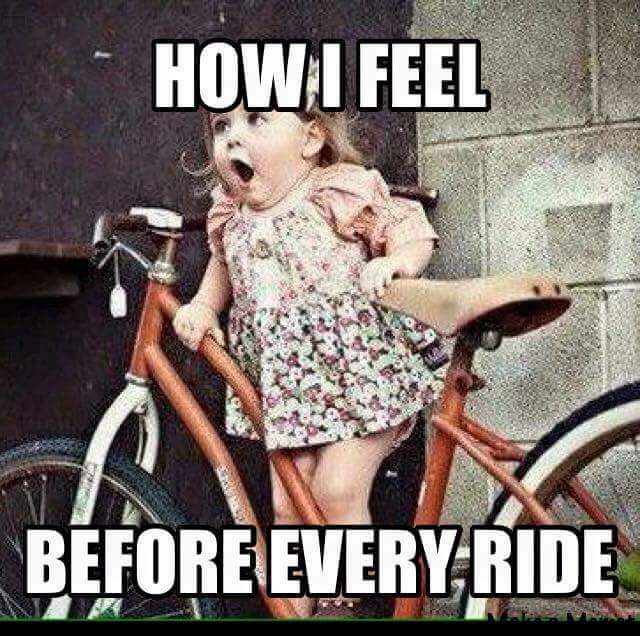 I’m excited and I’m ready to ride! If you’re Canadian, do you have any plans to mark the country’s birthday? Next Post Matilda The Hun, Mountain Fiji, and how the Gorgeous Ladies Of Wrestling showed me how big, bold and badass I could be. Sounds like it going to be quite a trek. Good luck and most of all…have fun! Best of luck and it’s a great way to celebrate on the journey of being Canadian. We’re cycling off to hopefully hear Ian Tyson (Canadian country /folk singer) sing “Four Strong Winds” along with 1,500 other guitar/string players. I’m in the Canadian prairies. Yesterday for last 2 days, we cycled the Legacy bike trail between Canmore and Banff..2 round trips with views of the Rocky Mountains along the way at every turn. It was bright sunny, hot and the mountains rose along the way. Path is parallel to TransCanada Highway…which spans the length of Canada..over 8,000 km.